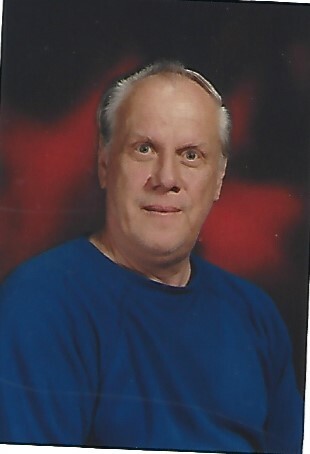 Southbridge...Leon J. Tremblay, 77, a lifelong resident of Southbridge, died February 27, 2019, at home surrounded by his loving family, after a courageous battle with cancer. He is survived by his daughter Michelle Mondor and her husband Normand of Southbridge, his son Todd Tremblay and his wife Kathy of Keene, NH, his grandson Kevin Mondor and his girlfriend Jennifer Pecore of Charlton, and their 3 children John, Averyann, and Bentley, his granddaughter Tarsha Mondor and her two children Kyle (his grandfather was a father-figure to him) and Estella. He also leaves 3 brothers Alfred Tremblay and his wife Gloria of Woodstock, Paul Tremblay and his wife Brenda of Sturbridge, David Tremblay and his wife Ann of Southbridge, 3 sisters Constance Fontaine of Sturbridge, Aline Vosberg and her husband Russell of Sturbridge and Diane Tremblay of Southbridge, and many nieces and nephews. He was predeceased by his brothers Richard, Roger, Roland, Robert, and his sisters Lorraine Tremblay and Jeanne Lacasse. He retired in 2013, as custodian from the Brimfield Elementary School, where he worked for 18 years. He previously was the custodian at the former Marianhill Central Catholic High School (Trinity Catholic Academy), where he worked for 10years as a custodian. He also worked for 20 years at Duralite in Grafton for 20 years as a company foreman. Recently he was an independent carrier for the Worcester Telegram for 4 years, retiring due to illness. Leon was a Past Exalted Ruler at the former Fraternal Order of Elks Lodge 1864, (B.P.O.E) in Southbridge where he was a member for many years.